Whilst the national spotlight is once again shine Bristolwards with the BBC 6Music Festival taking place here, The Fantasy Orchestra have decided to join in and celebrate the magnificence that is Bristol’s homegrown music. We present a set of original tunes by Bristol-based artists such as Rachael Dadd, Andy Skellam, The Precious Mings, Paul Bradley, Rira Lynch, Rozi Plain, Jamie Harrison, This Is The Kit and more! 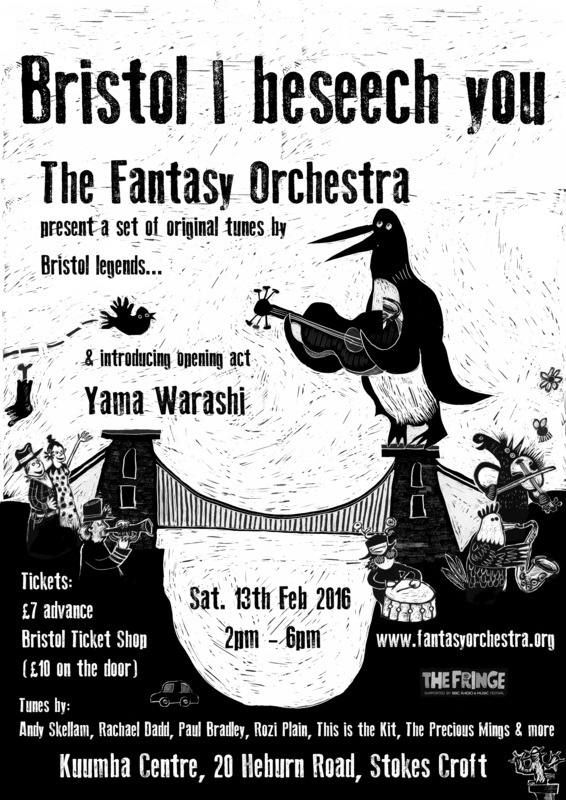 Yama Warashi; a Fishponds based supergroup led by Yoshino Shagihara who blend a fusion of traditional Japanese melody and harmony, new age and old age sounds, mixed with a rotating smorgasbord of local talent.